There is a difference between making a living and making a life. 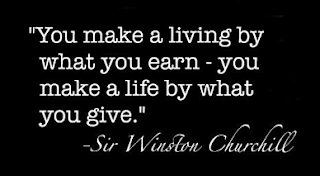 Making a living refers to your physical and temporal needs. You meet these needs by working hard and earning them. Making a life refers to your character, the person you are in the inside. It is what you give, how you love and why you perform certain actions. People will not remember you for your living. But, they will remember you for the life you lived.